I was pleasantly surprised by the Prospecting Workshop/Cold Call Boot Camp. I liked that it was a smaller class size, that way there was more personal interaction between the instructor and the group. From start to finish, our instructor, James Alberson, kept the workshop lively and energetic. I felt engaged the entire time, with a workbook to follow and fill out as we covered different sales strategies. James explained each strategy clearly and gave examples to make it easy to relate the techniques to our particular sales job. All of the information covered in the workshop was helpful and relevant to the major obstacles I experience in sales. It was interesting learning the psychology behind our interactions and responses with clients. James showed us how to change the way we converse with clients in order to get the reaction that we're looking for. I thought the workshop was enlightening, empowering, and fun. I highly recommend this workshop to anyone who is in sales, whether it's a new career or you've been in the field for a long time. Thanks again! Cold Call Boot Camp is an interactive sales workshop designed to produce results, learn effective cold calling techniques, and overcome call reluctance. 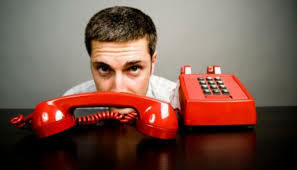 Participants will learn the no pressure prospecting call and develop a customized approach geared to their business, how to get past gatekeepers, when and how to leave voice mail, how to overcome stalls and objections, and deal directly with the causes of call reluctance. You don't have to like cold calls, you just have to make them! "Prospecting is the lifeblood of sales . . . learn to do it well." Creating a Prospecting PlanThe best prospectors often close more business than the best salespeople. Over 90% of salespeople surveyed tell us they can sell - they just need to get in front of more prospects. Effective prospecting blends both marketing and selling. Most salespeople HATE to prospect. Nearly 60% of high performing prospectors consider the phone ESSENTIAL to their prospecting success. Decision makers listen to only 9 seconds of a "cold" voicemail before pressing delete. Are you frustrated because you don't have a full pipeline of prospects? Do you follow a specific plan to keep your pipeline consistently full? 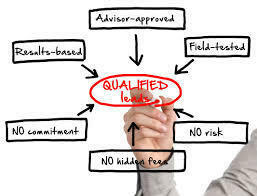 Do you lack the confidence or knowledge necessary to dramatically increase your number of qualified appointments? Does your stomach tie up in knots just thinking of making another cold call and getting rejected again? This combined hands-on workshop is for anyone who needs more appointments to go to the bank more often! Participants will learn the correct prospecting paradigm, the best prospecting avenues, and effective cold-calling techniques that are unconventional and produce results. For more information about Cold Call Boot Camp, please contact our office at (206) 805-8848 or send us an email. Thinking about attending our cold call boot camp? 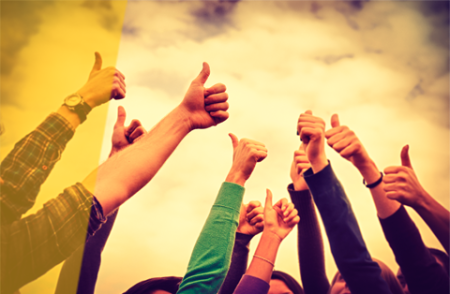 "James was great – we found him engaging, energetic, and professional! The workshop gave our team new techniques to enhance cold-calling effectiveness and help drive new business. Some of the topics discussed that I found most useful included: why clients buy (identifying pain) and getting past the gatekeeper. We will definitely be taking more Sandler courses!" "The best move is “this is a cold call and my boss makes me do them…” Some were still upset, but they always rescued me. Awesome stuff! Thanks for the great class. BJ told me he has never had so much fun cold calling." "It is obvious that James Alberson knows his material. He moderated the Cold Call Boot Camp with confidence, humor, and empathy. His colleague, Omar, was a nice addition, offering insights and anecdotes just when they were called for. All in all, I consider the course a good investment. Now, if you'll excuse me, I have some phone calls to make!" "James Alberson did a great job getting the group involved and opening a new way of thinking about Cold-Calling. It was a fun way to attack the normally dreaded part of sales." “Took away a lot of the mystery and anxiety of contacting strangers, you could do a segment on using the same techniques as a segway to dating." "I want to personally thank James Alberson and his team at Sandler Training. The Cold Call Boot Camp did wonders for me just after the first hour I used it. Within 20 calls, I landed two appointments with prospects. Before the Cold Call Boot Camp, it would take me 40-60 calls to get the same number of appointments. Thanks for increasing my cold calling rate!"